We often insert links in blog posts. It will be a plain text link in most of the cases. See the above example. It’s a screenshot from one of my blog posts in which I used a plain text link. Now see this button. It is beautiful and will give a different look to your content. Is it? 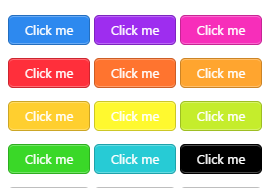 You can create these kinds of buttons in various styles, sizes using Shortcodes Ultimate plugin. 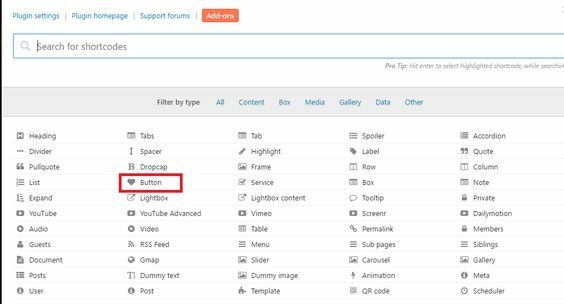 With this tool, you can create not only buttons but a bunch of cool things like sliders, tabs, tables, boxes, Google Maps, responsive videos and much more to beautify your contents. Buttons can be configured according to your tastes and interests. Customization is available in terms of size, background colour, style, border and icon types. 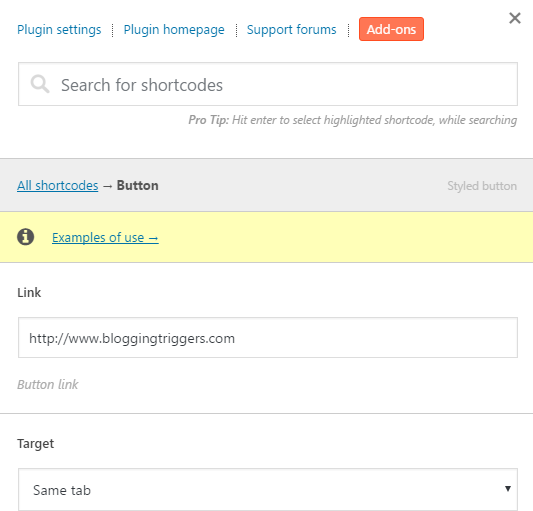 Install and activate Shortcodes Ultimate plugin from WordPress library. Now you can see a new menu in the sidebar under Settings, named Shortcodes. It contains plugin settings, tutorials, demo contents and cheatsheet to make you utilize the features. Go to Posts > Add New to create a new post. Tap newly created Insert shortcode button to explore the tools. 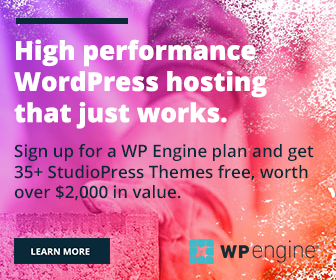 It will show you whatever shortcodes are available with the plugin to supercharge WordPress. Shortcodes Ultimate will be useful for you in several ways. But now we want to know how to create and use buttons. So click Buttons option. You will be diverted to the button settings. If you want to use demo data, click Examples of use link from the top. A new window will open with a number of predefined button styles. Tap Get the code button to see codes in order. Copy from the set of button codes and paste into your post screen to use. Otherwise, go ahead with the button settings. Target: Do you want to open the link in the same or new tab? Click on the Live preview button at the bottom to get a quick look or redesign your button. If you are satisfied with the results, mouse hovers over Presets button and click save current settings as preset to use the same settings in future.Finally, tap Insert shortcode button to use it now.